21556, “A” Coy. 9th Battalion. Royal Fusiliers. Enlisted in London. Gained one campaign medal. Killed in Action 7th July 1916 aged 22. Remembered at the Thiepval Memorial, Somme, France . Born at Chiddingstone between October and December 1893. 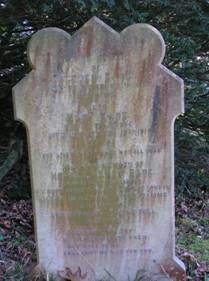 Second son of Horace and Elizabeth Eade of 7, Chiddingstone Causeway, Tonbridge, Kent. Resident in Lewisham. Remembered on the Chiddingstone Causeway and Edenbridge Hospital War Memorials and on grandparent’s gravestone in St Luke’s Churchyard in Chiddingstone Causeway.